I've seen some confusion on this - sometimes people are mixed up about fiscal year & calendar year. Sometimes we're looking at the house shows (i.e. 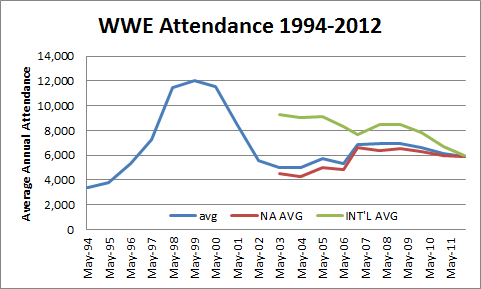 non-PPV and non-TV taping) numbers and sometimes we're looking at just north american numbers, and sometimes people are looking at the total attendance numbers and later there is even breakouts where they try to leave things like ECW only events out of the mix.